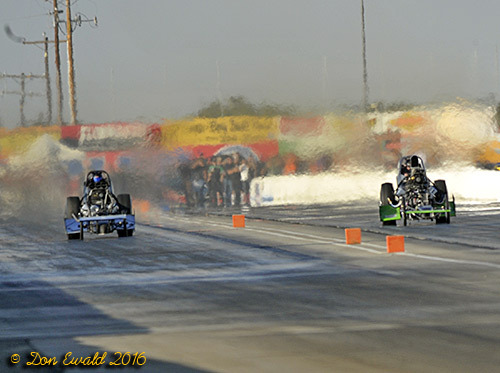 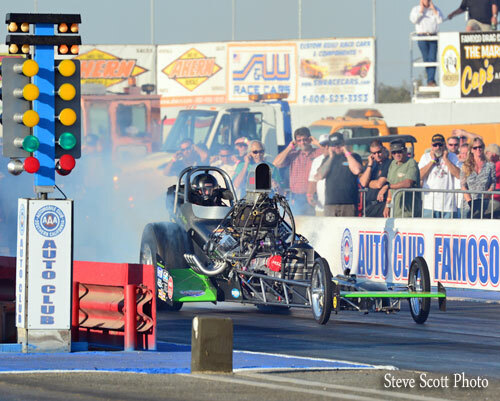 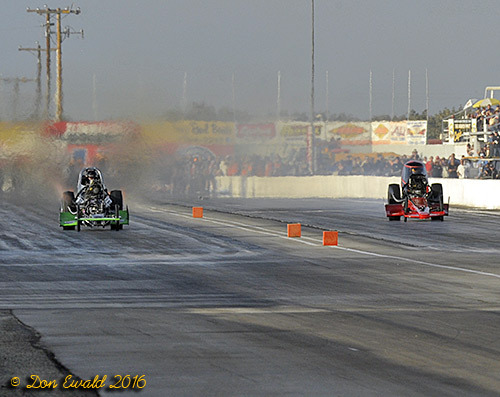 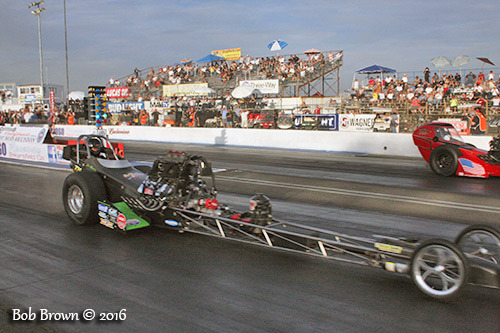 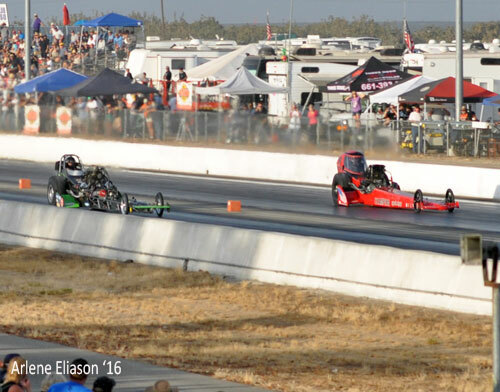 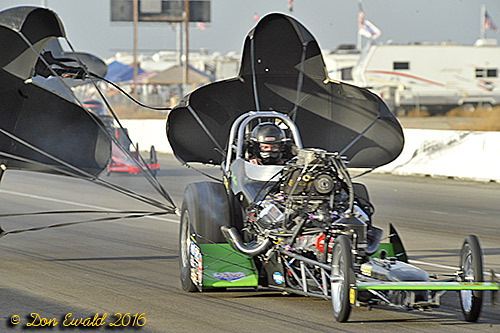 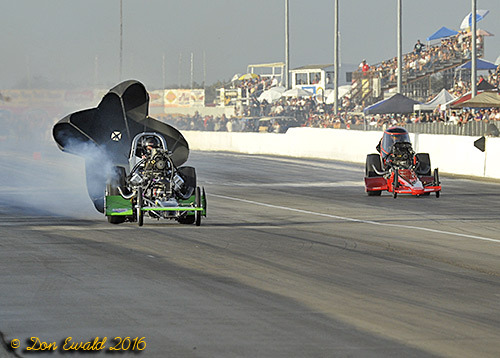 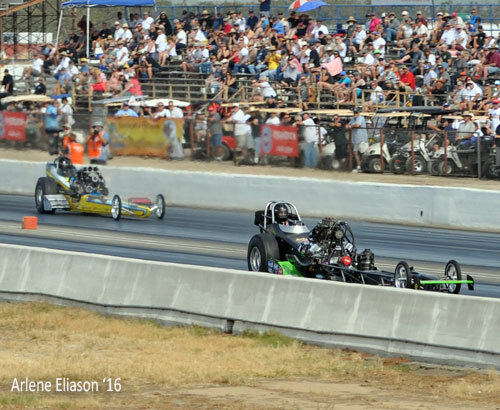 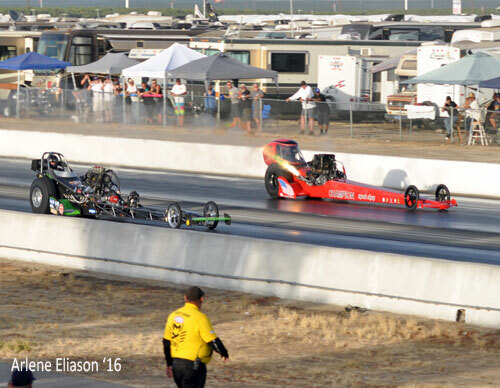 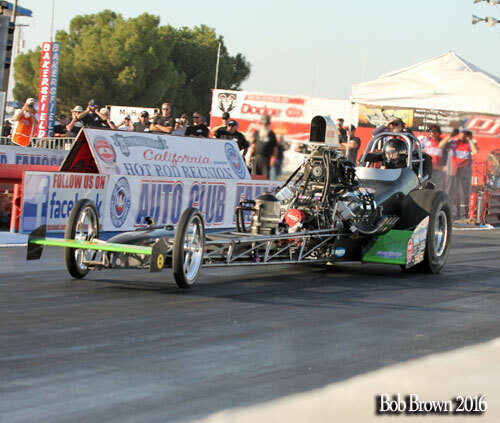 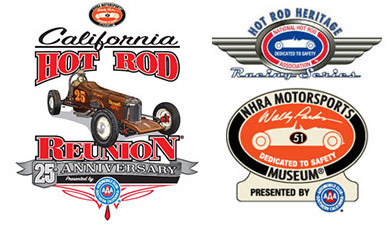 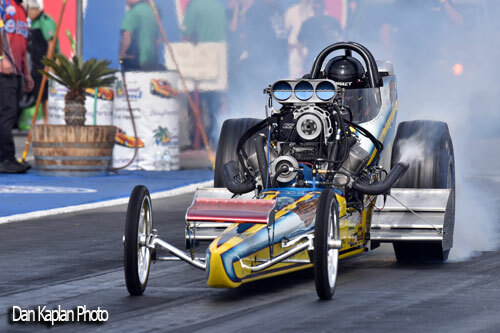 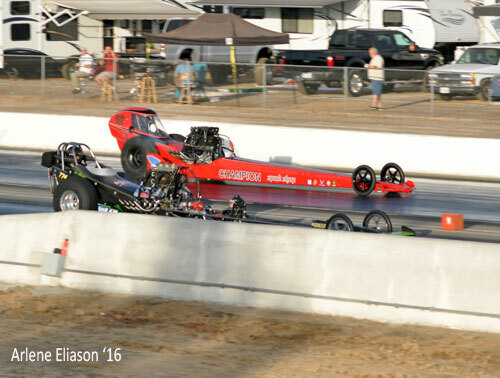 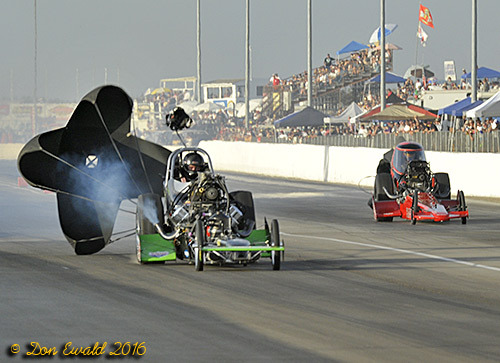 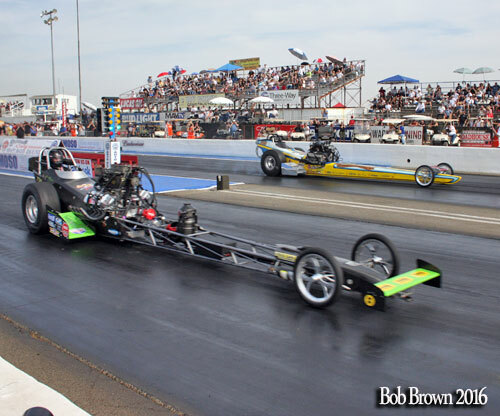 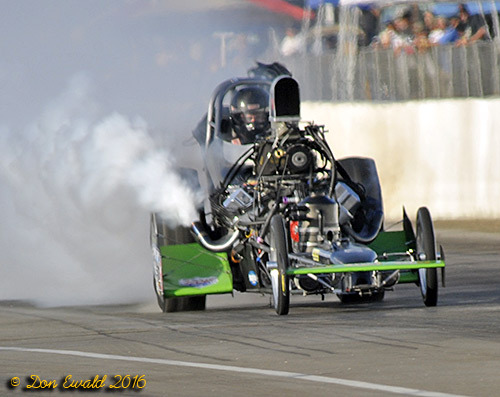 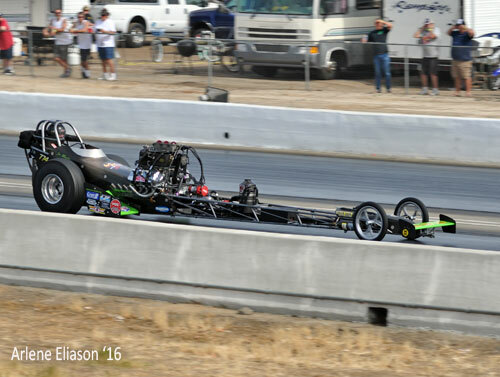 Bakersfield, CA - 10/26/16: The 25th edition of the California Hot Rod Reunion is in the books and although there were several logistical problems, the the racing part was great, the weather perfect and Jim Murphy missed being the 2016 Top Fuel Champion but $5.00 fuel line. 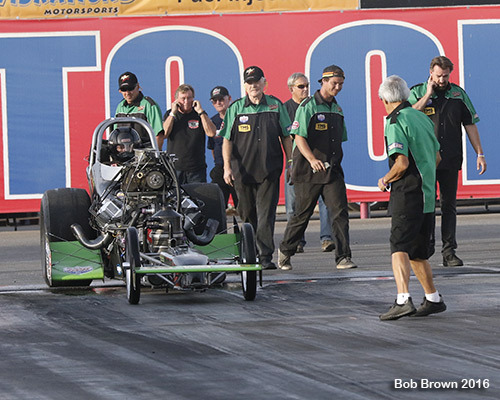 Murphy came into the race within one round of points leader Tony Bartone and then there was Adam Sorokin just two rounds down. 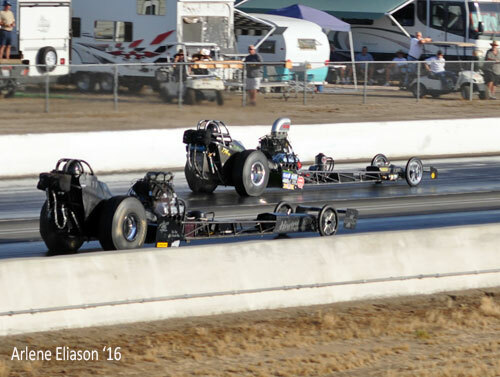 They came loaded for bear and laid down a string of stout passes leading to a winner take all final. 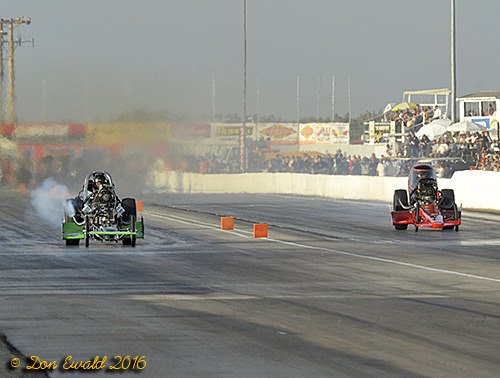 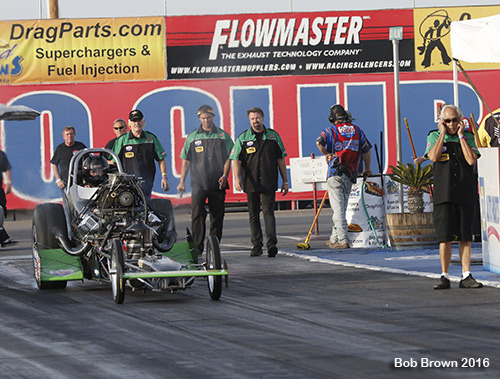 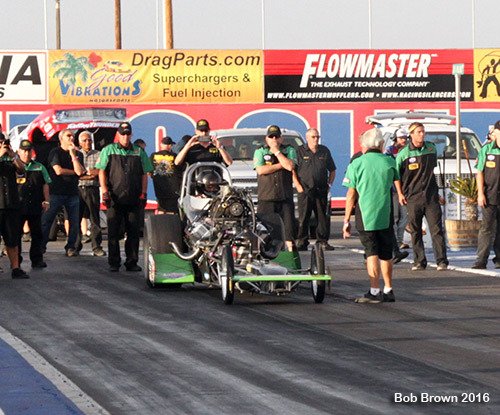 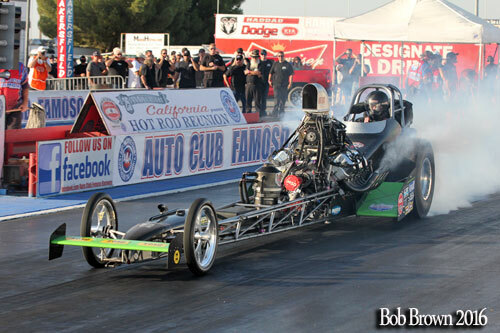 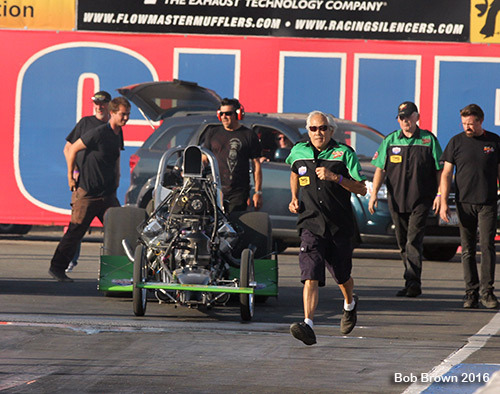 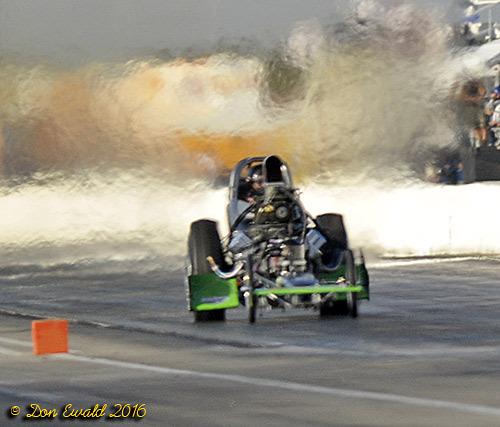 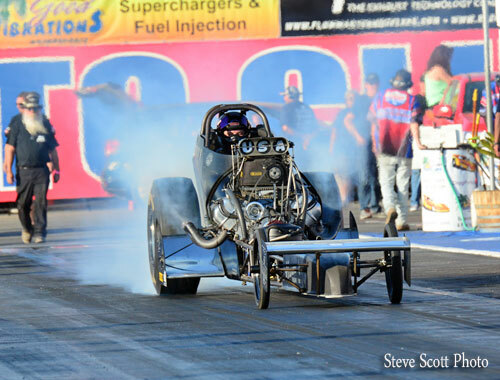 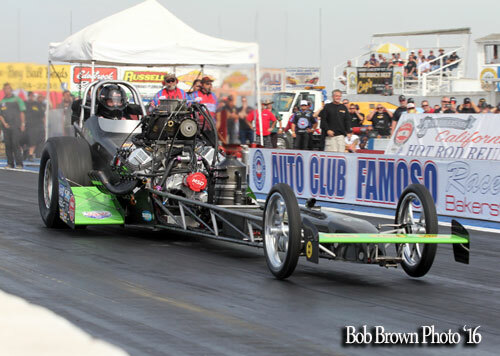 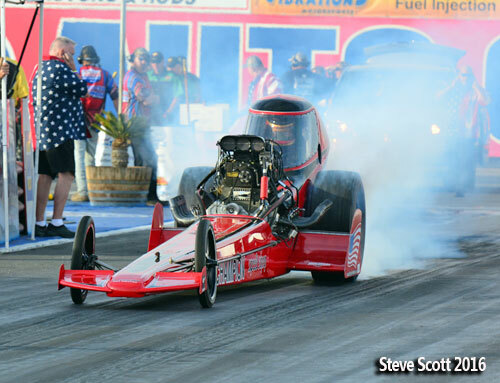 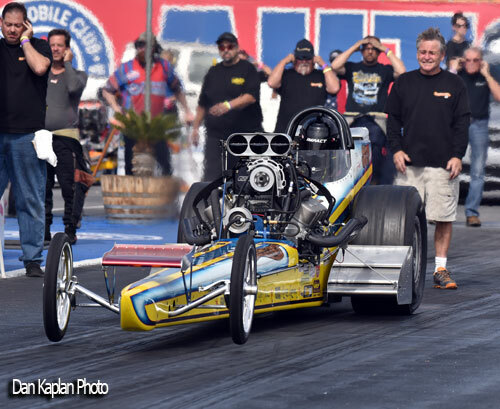 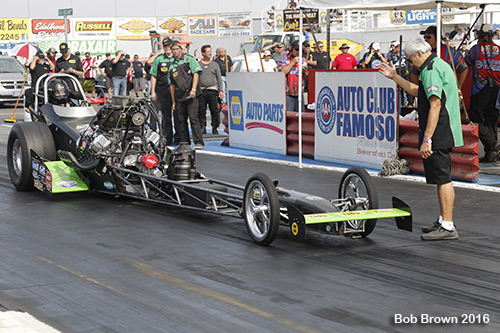 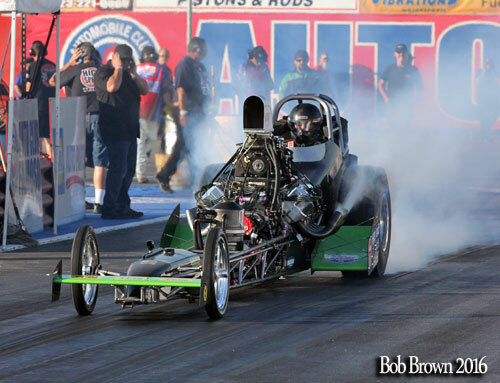 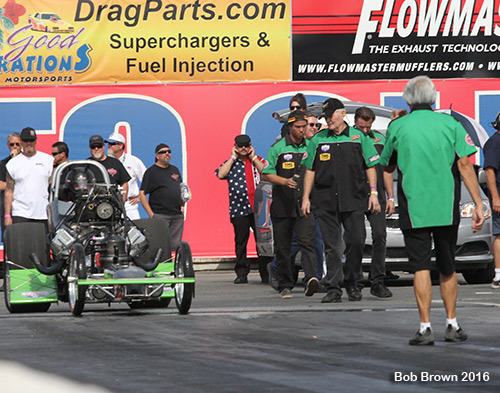 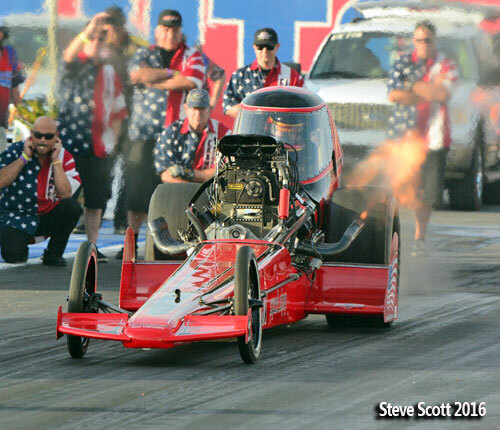 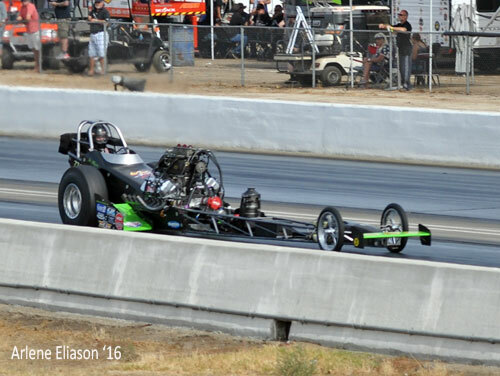 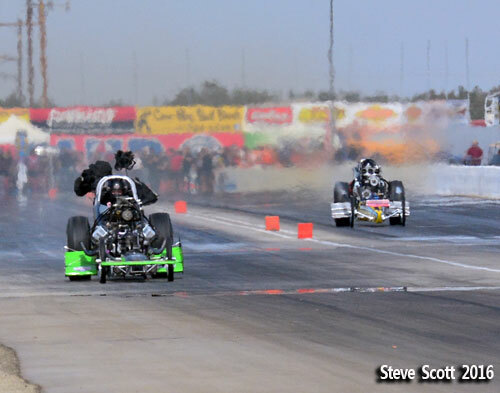 But the road to Sunday was paved with a lot of work and nitro so let it be told in photos. 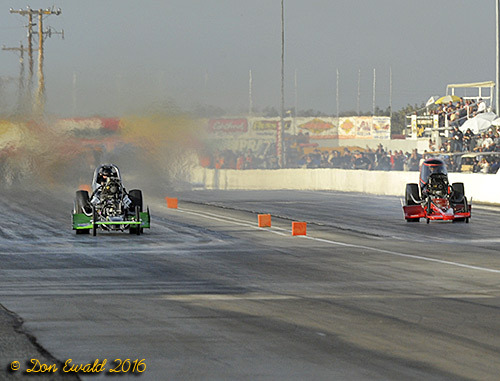 Pair two of the Friday afternoon session featured Jim Murphy who was a contender in a 3 way points race,and Rick McGee in the Tedford & McGee "Overtime Special" from near by Exeter. 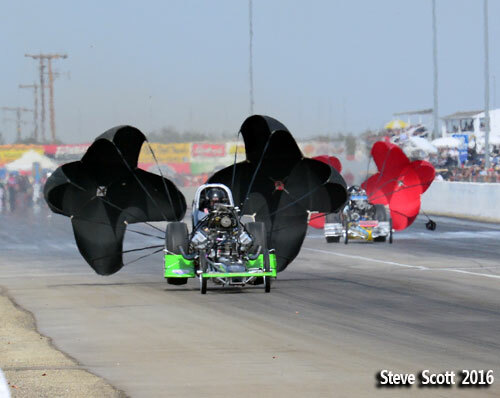 Murphy has been experimenting with injector scoops... function over form. 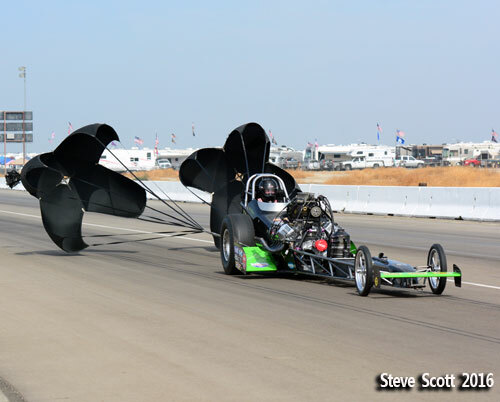 He would end up running with no scoop at all. 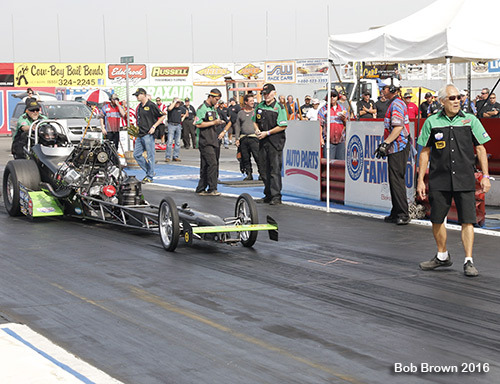 Murphy served notice that he and Roland were here to play hard ball carding a stout 5.626 at a whopping 264.18. 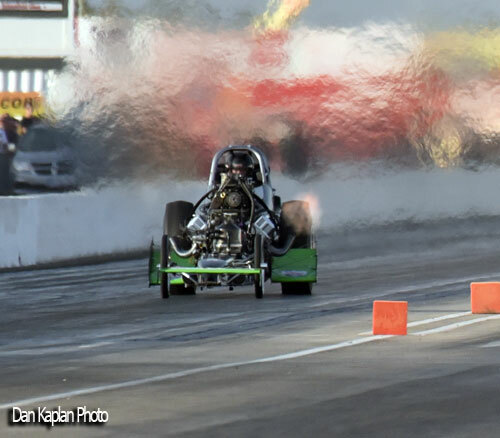 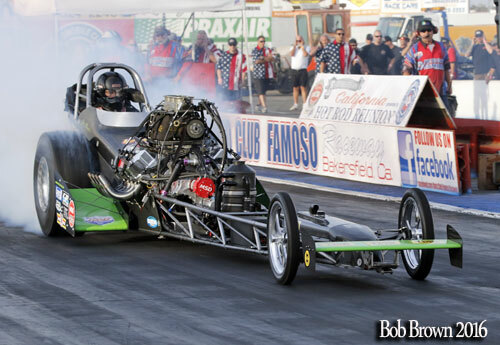 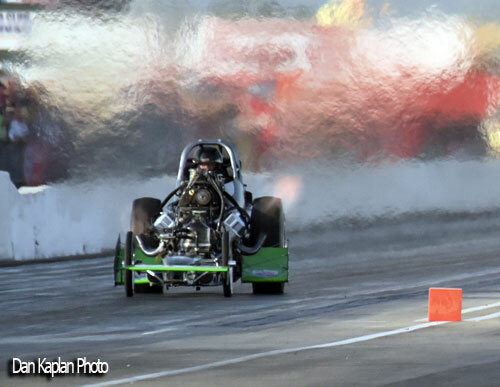 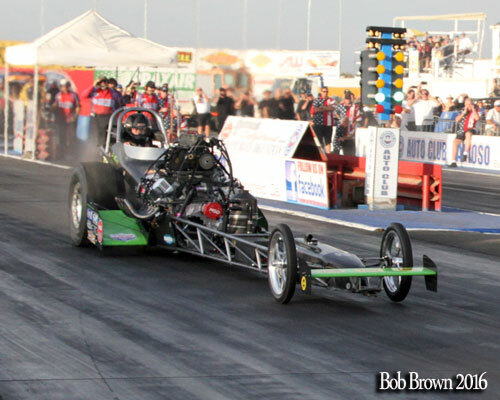 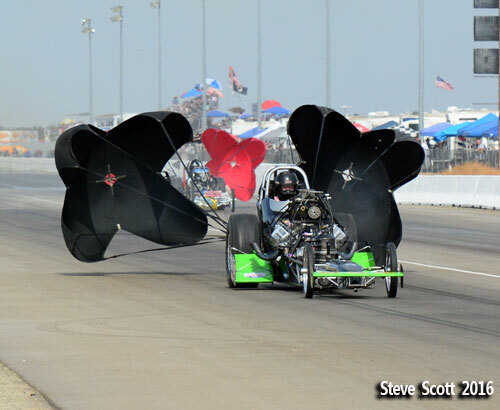 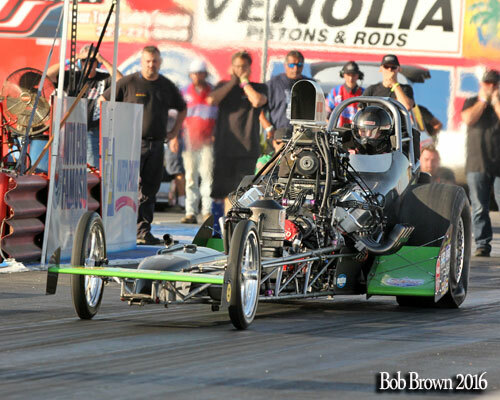 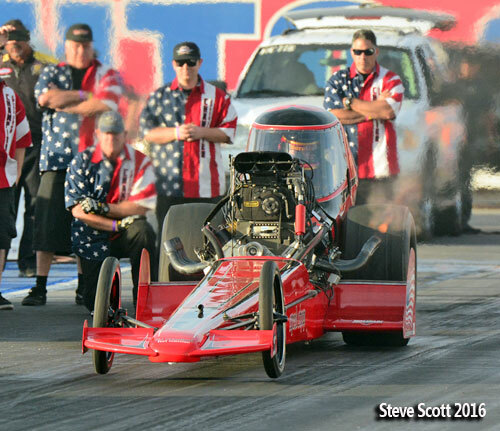 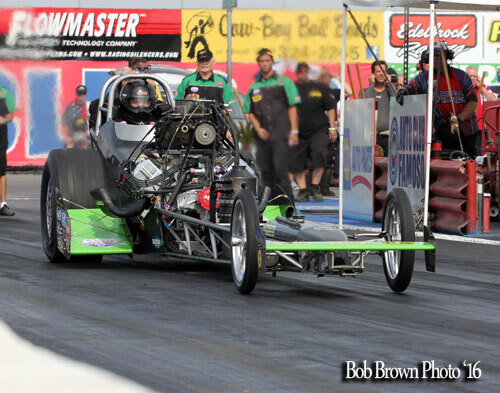 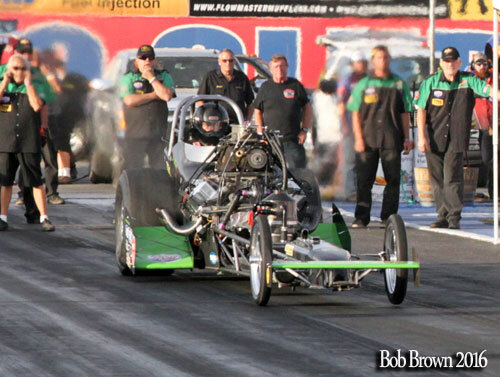 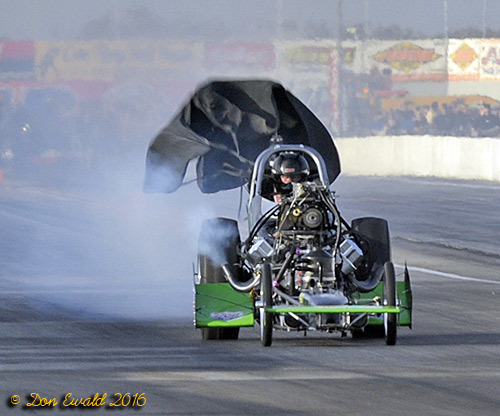 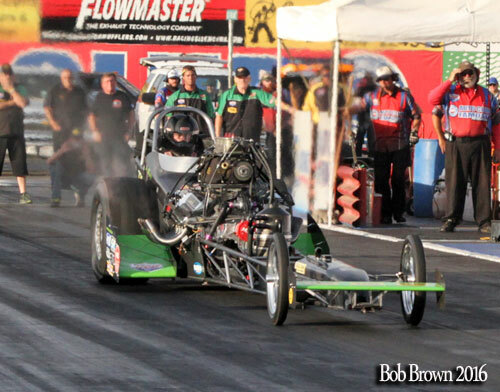 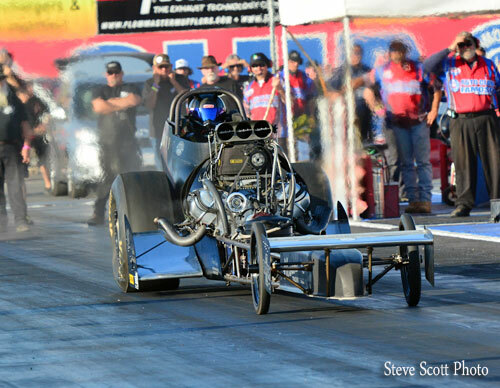 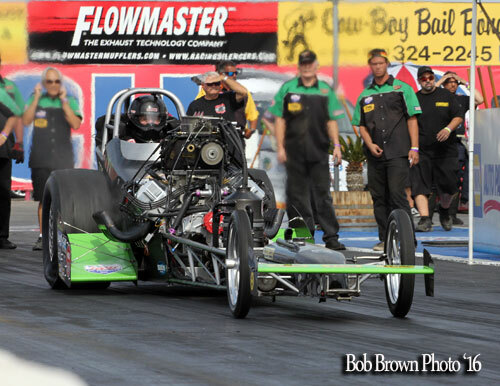 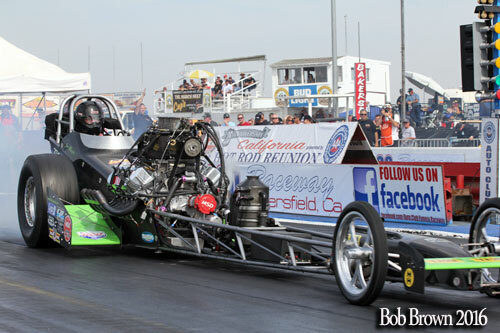 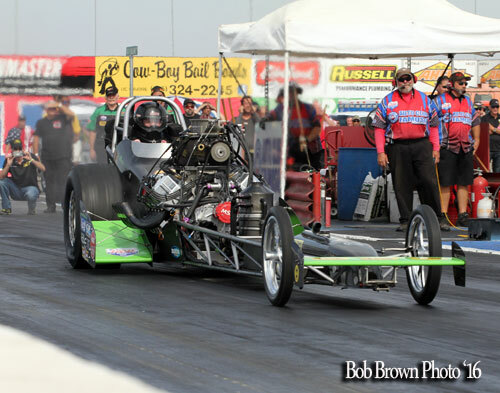 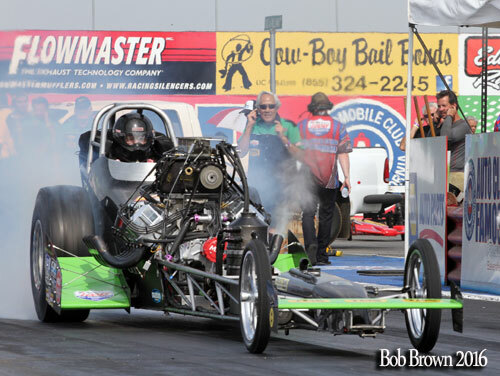 McGee banged the blower before the lights still ran a respectful 5.807 at 234.70. 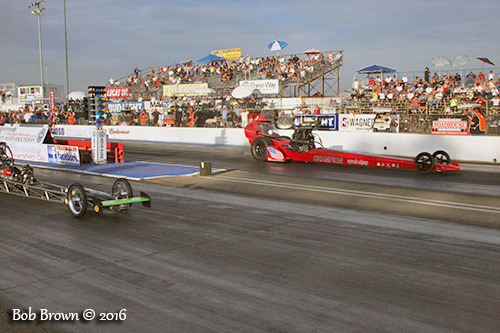 For the Saturday morning session Murphy was paired with Tyler Hilton. 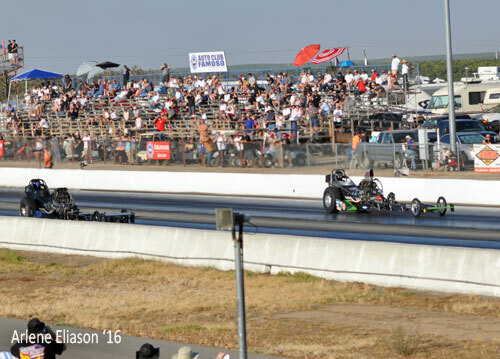 Murphy's 5.67 at 231.28 did not improve on his earlier 5.626 at 264.18. 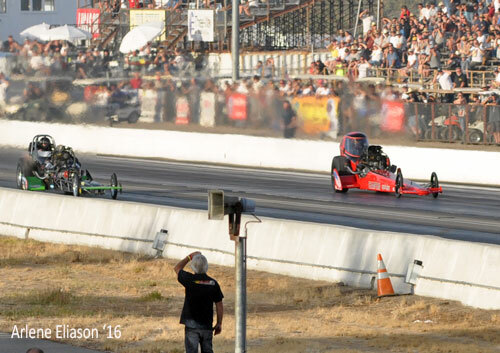 If you judge by the speed on this pass Murphy didn't have a full pull, data showed it probably would have run a 5.58 or .59. 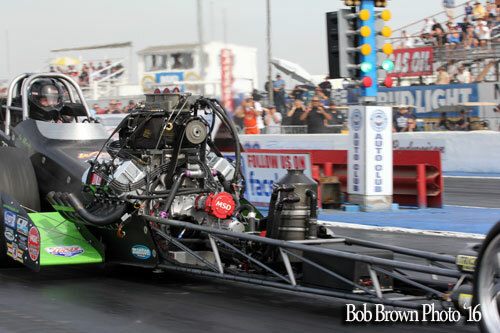 Murphy had no issues at all carding a 5.63 at 254.23 which was a tick slower than his previous 5.626 at 264.18 (top speed of the meet) and ended #2 qualifier.